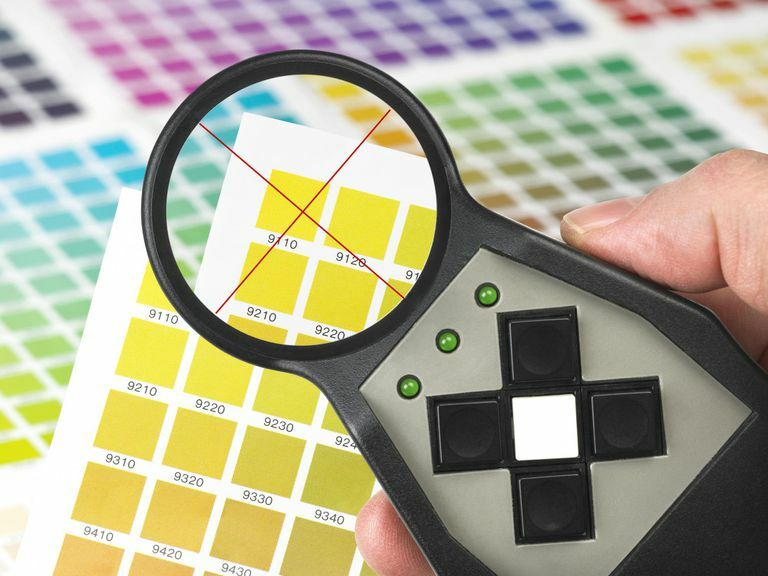 Calibrating a printer, scanner, or monitor properly can help to ensure that what you see on the screen is what your print actually looks like and that colors don't look one way on the monitor but different on paper. In other words, the level of what-you-see-is-what-you-get (WYSIWYG, pronounced wiz-e-wig) between the monitor and your printer and/or scanner is accurate to the point that what rolls off the printer looks as much as possible like what's on the monitor. Jacci writes, "ICC profiles provide a way to ensure consistent color. These files are specific to each device on your system and contain information about how that device produces color." Getting the right combination of ink plus paper plus printer settings is easier with the help of companies such as Ilford and Hammermill (manufacturers of photo paper), which hosts a wide array of printer profiles on its site (click on the Support tab and follow the link for Printer Profiles). Just a note--these are really geared to photo pros and not as much for the average user, for whom the printer's default settings (or photo setting) is likely to be good enough. Ilford, for example, assumes you'll be using Adobe Photoshop or similar high-end program. If you're not, you can stop here and simply using your printing preferences for photo printing. Otherwise, you'd visit Ilford's site and download a Zip file which needs to be installed into the appropriate spool\drivers\color folder on your system (installation guidelines are included in the download). The appropriate printer settings are then displayed for a variety of media and printer manufacturers. If you'd like a good, and fairly understandable overview of ICC color profiles, one good place to start digging in for more information is on the International Color Consortium's Web site. Their FAQ provides a great bunch of answers to all the ICC-related questions you're ever likely to have, such as: What is a color management system? What is an ICC profile? And where can I learn more about color management? You'll also find a useful page on color terminology, color management, profiles, digital photography, and graphic arts. If you find that you do need to use ICC color profiles, you can typically find applicable profiles for various printer manufacturers via their Web sites. This is a partial list of links to ICC color profiles for some major printer manufacturers, but it is certainly not exhaustive. Canon lists ICC profiles for compatible third-party printers on its Web site along with an Art Paper Printing Guide. Epson printer profiles are likewise available on their Web site. Brother uses Windows ICM printer profiles, and HP lists its presets and ICC profiles for its Designjet printers on its Graphics Arts page. Kodak has an extensive list of profiles on its Web site. Finally, you'll find that TFT Central offers ICC profiles and monitor settings page that seems to be updated on a regular basis, and which describes how to download and install ICC color profiles on Windows and Mac computers. This subject gets very complicated, very fast. If you're interested in the technical side of ICC profiles, there is a free, downloadable e-book available via the ICC Web site that delves into ICC profiles and their use in color management. Building ICC Profiles: The Mechanics and the Engineering includes compilable C-code that can be run on Unix and Windows operating systems. Finally, some printer makers, such as Canon, ship software with some of its higher-end printers for making your own ICC profiles.